The stroller arrived at our house about a month before Crosby was born and I couldn’t wait for Jeff to put it together so I could test it out. I even pushed it around the house a few times and had Mackie try out riding in the storage space below… the verdict is still out on whether or not she’ll stay put in there. Now that Crosby is here we’ve been loving using the stroller. 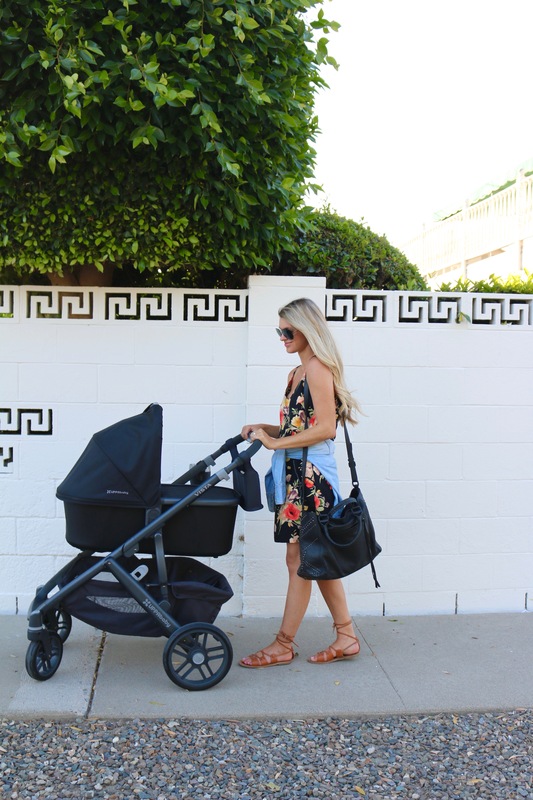 We made sure to get the MESA car seat as well because it easily fits on making the transition from car ride to stroller ride really smooth. The bassinet has a drop down sunshade with UPF 50+ so I never have to worry about sun exposure on the babe. Some of my favorite parts are the add-ons. We got this cup holder that’s great to hold a bottle of water during a walk and this carry-all – which is a great place to store my phone and keys. One of the hardest parts was deciding on a color for the stroller. 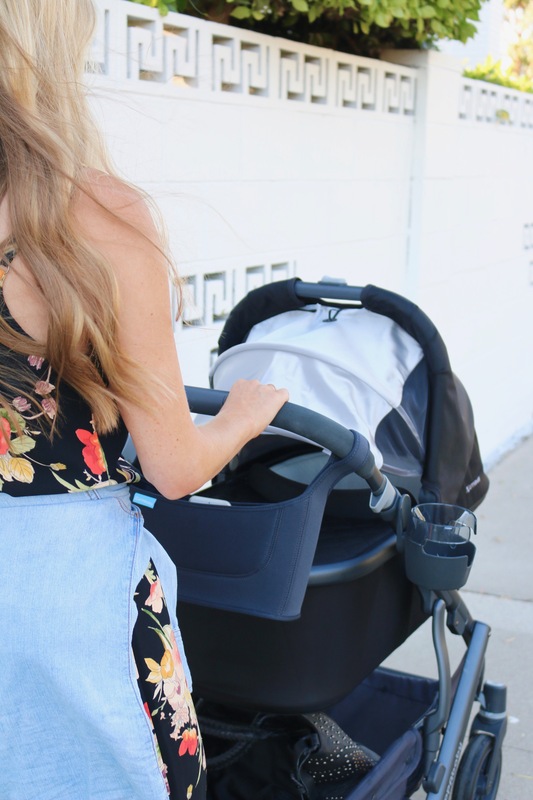 In 2017 UPPAbaby released a few new color options that are so chic – you can check them all out here. I literally went back and forth for a few days trying to decided between a few but ultimately decided on the classic black. I know I’m only scratching the surface with this stroller and can’t wait for our family to use it more!